Superdry women's PU hooded biker jacket. 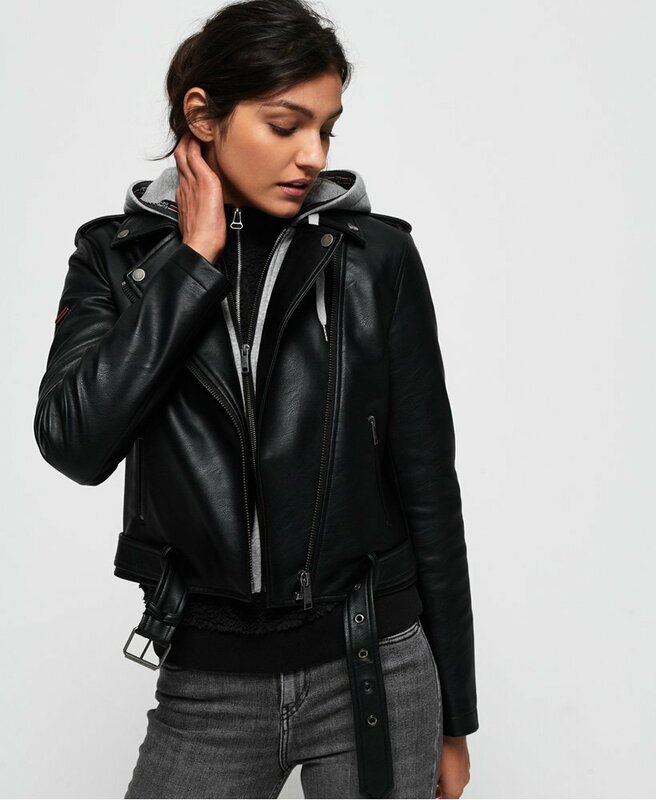 Layer up this season in this biker jacket, featuring a hoodie lining, two zipped front pockets and popper detailing on the collar and epaulettes. Buckle detailing at the waist adds to the biker feel, while the metal logo badge on one sleeve offers that finishing touch. This is a must have in your wardrobe and will look great with everything, from jeans and a t-shirt to a dress and boots.